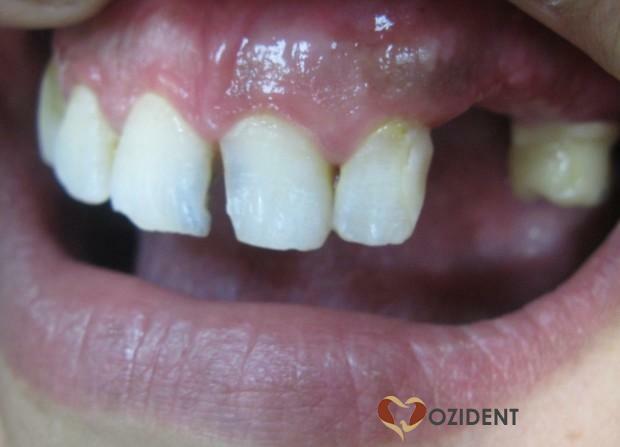 Case: DT04 - Rootless Tooth! 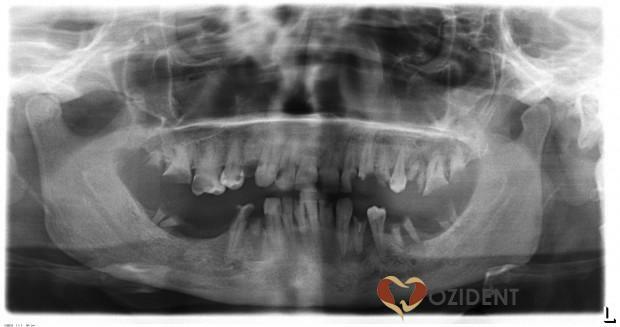 Case: DT04 – Rootless Tooth! In this case a Female Patient, 36 years old came to my clinic because she wanted to change her smile, she wasn’t satisfied with her smile and her attitude in life wasn’t perfect. But in the end both of us were surprised!! Hoping that a new smile will improve her life sytle, she request that I do what ever I can to get her a perfect smile. First of all what I did was take some diagnosis images. 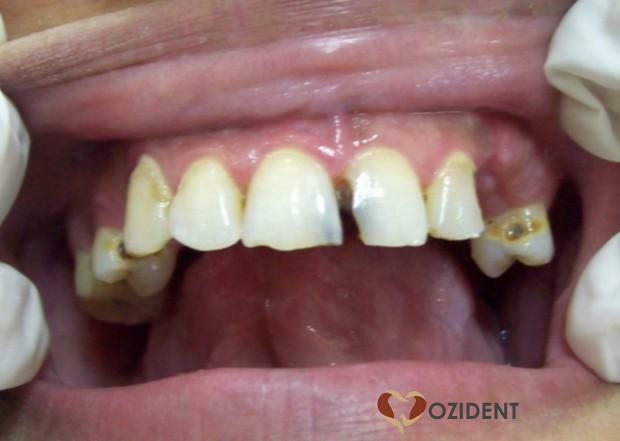 Logically, anyone will automatically consider composite filling (yes the maxillary anterior teeth) so the first step I did, was remove the debris of the cavity , clean from any caries and get a clean and elegent view to evaluate the floor of the cavity. 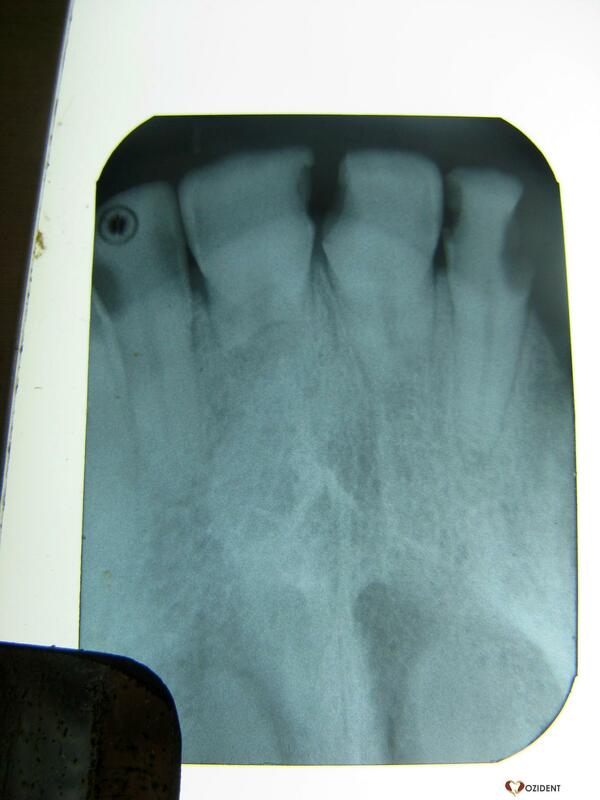 Even Though the Teeth and Cavity seems deep, no pain was recorded especially in the maxillary right center. The Second step I did was to take a Panorama / X-ray. To evaluate the root condition. If you haven’t noticed it in the panorama, I am pretty sure it will be viable on the Peri-apical X-ray . I was Shocked, I immediately tested its mobility and to my Surprise it was only Grade two mobility in the shorter root and Grade 1 in the longer root. I asked for any history of Trauma, she replied she never fell down or anything…..
What is the etiology or possible cause for this? 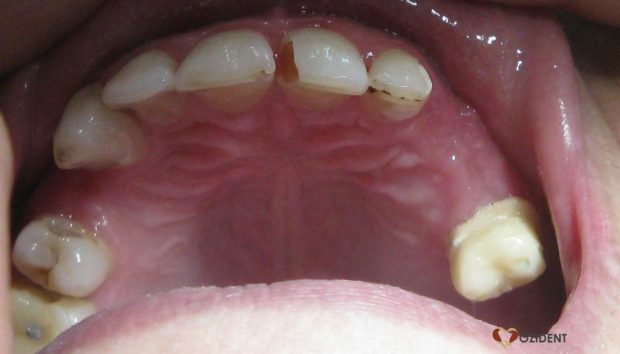 what possible treatments for this case?